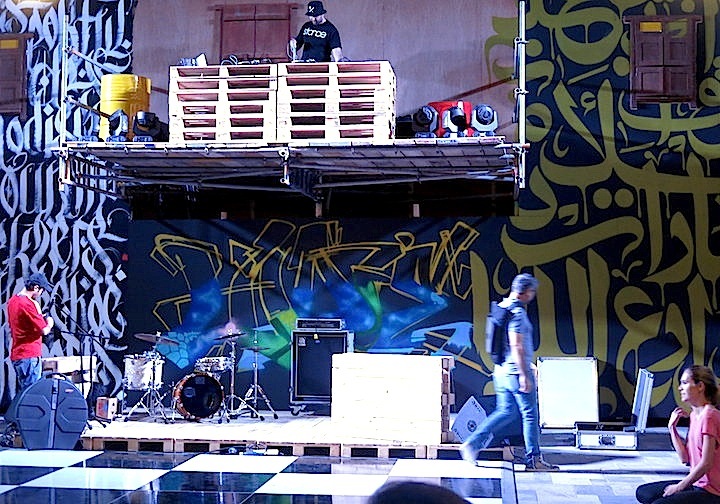 An urban celebration of art, music and food, Street Nights features some of Dubai’s most active muralists painting live. The following images were captured last week while visiting the Walk At JBR, an inviting outdoor promenade along the beach. 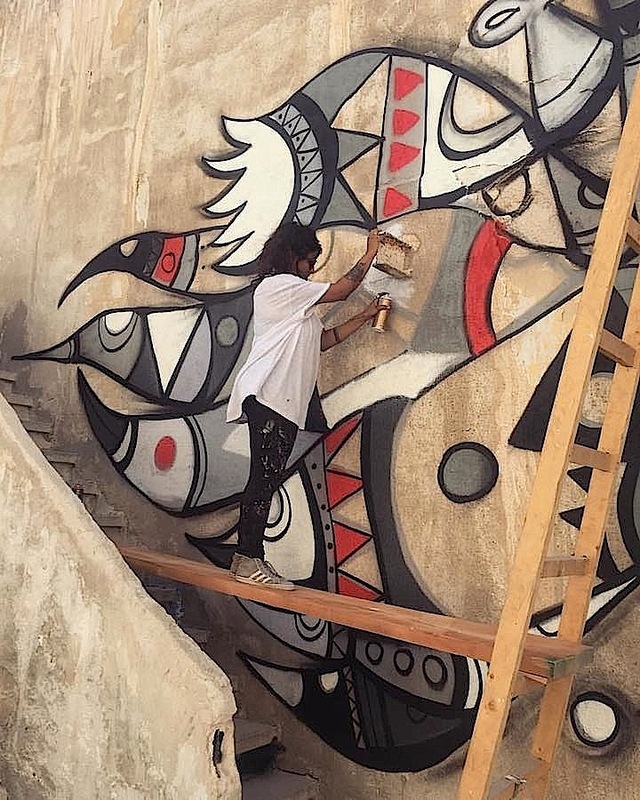 Based in Dubai, Fathima Mohiuddin is a visual artist, curator and founder of the creative enterprise The Domino. With an academic background in sociology and studio art, Fathima aka Fats has a particular passion for projects that have social impact. 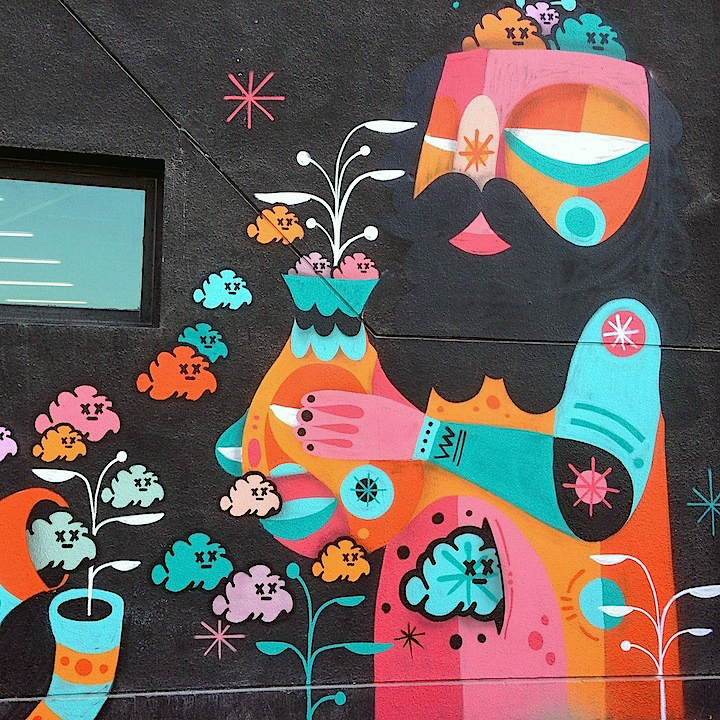 Increasingly, her distinctly beautiful murals have been surfacing on public spaces throughout the globe. I had the opportunity to meet with her on her recent visit to NYC. 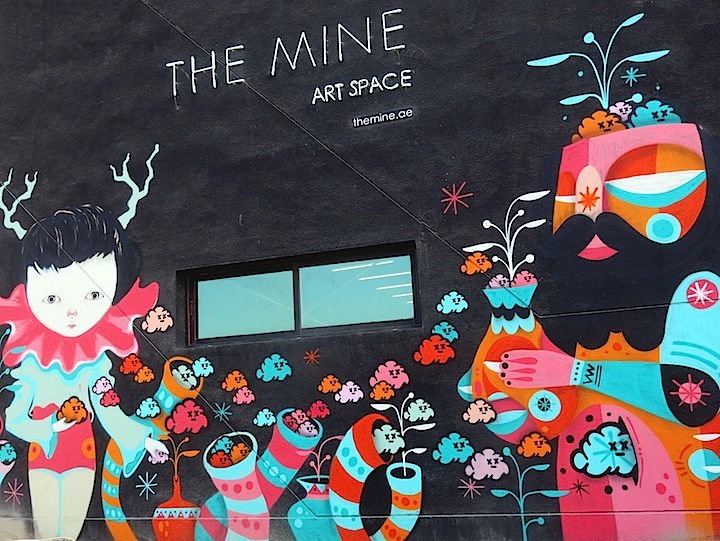 What inspired you to get your art up in public spaces? I’ve always liked big artworks that are larger than life and engulf you. 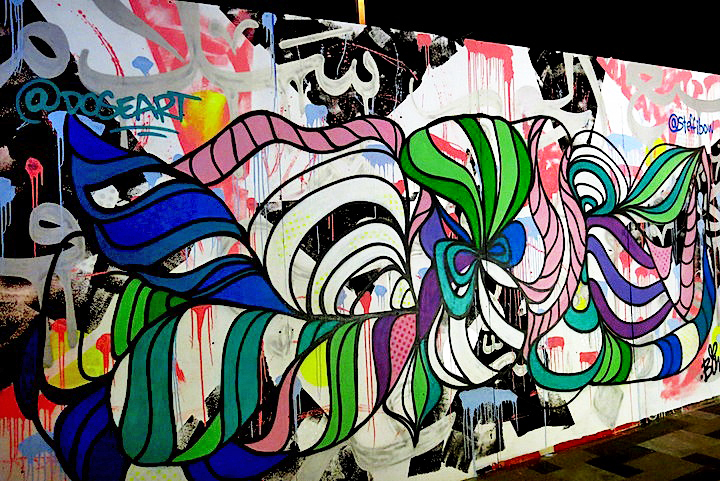 And huge walls allow me to paint on a much larger scale than I could otherwise. I love to use my whole body to paint. I also love the magic and context of art in public spaces — its social impact and what it lends to the experience of that space. I love how it can affect people and change a community. 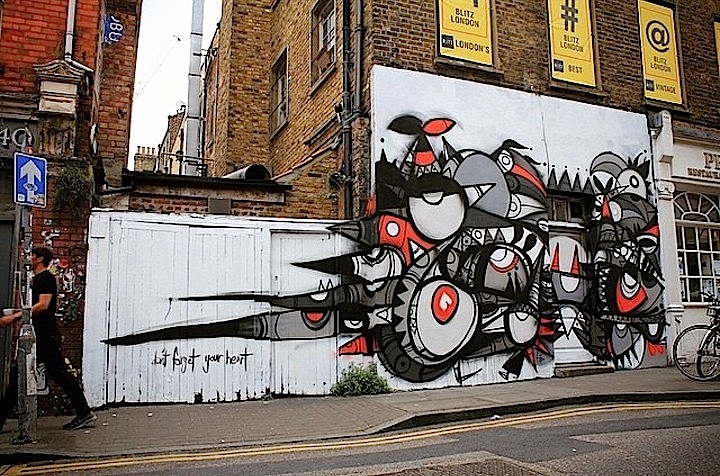 When were you first introduced to the concept of street art? 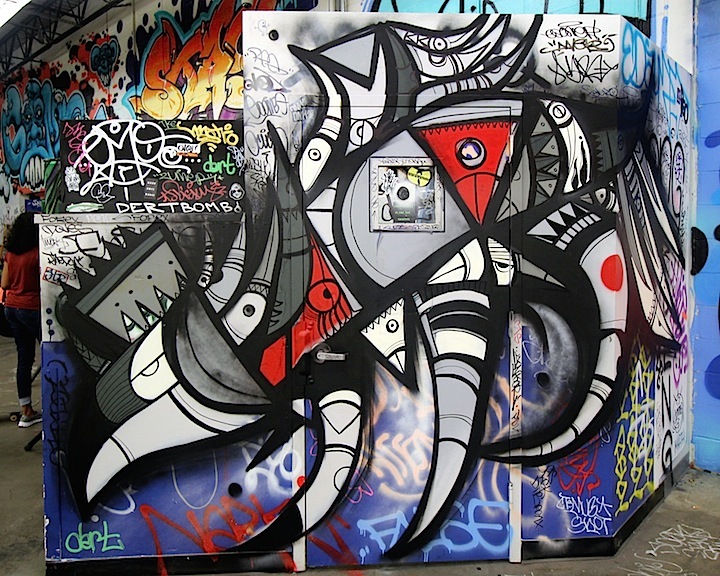 When I was 17, I moved to Toronto, Canada and experienced a lot of street art for the first time. I worked one summer for Mural Routes, an arts organization committed to improving communities through mural art. As an apprentice, I learned how to paint a mural. Have you studied art on a formal level? I did a BA in Art & Culture at the University of Toronto. Then I earned my MA in Sociology at Goldsmiths, University of London. My Masters dissertation focused on art in public spaces – its ability to connect us with our city, one another and ourselves. I’ve moved quite naturally from inside to outside the gallery space, and I find that outdoor spaces are a far more appropriate context for my work and my values about art. In addition to painting in Toronto and Dubai – where you are based – where else have you painted? I’ve painted in Abu Dhabi and in Muscat, as well. More recently in London, in Ithaca, New York. in Jersey City and in Jordan. 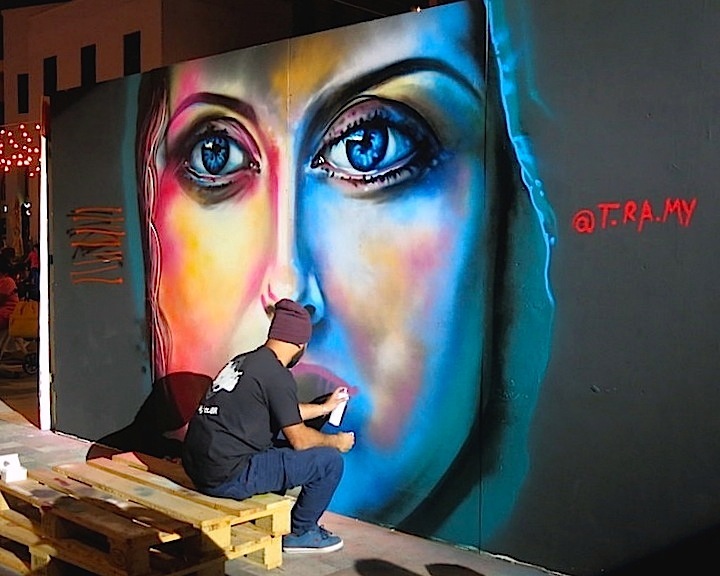 Dubai’s scene is young, so we’re still really working on getting public outdoor walls. You are also a curator and you run your own company, The Domino. Your life clearly revolves around art. Yes. When I’m not creating art myself, I work on mobilizing other artists and making creativity accessible and sustainable. And I am intent on encouraging local businesses to use their marketing budgets to support artists and see the gain in working with artists who can provide something fresh and original — which, in turn, supports a creative community that is integral to sociocultural development. I believe very strongly in the value of what artists do, be it social or economic. 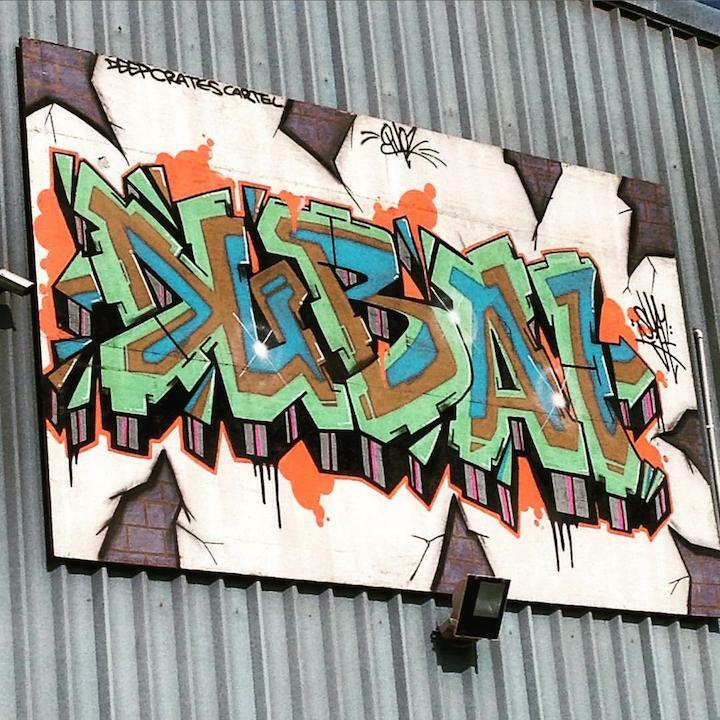 Can you tell us something about the street art scene in Dubai? It is nothing like here in NYC or in most major cities. 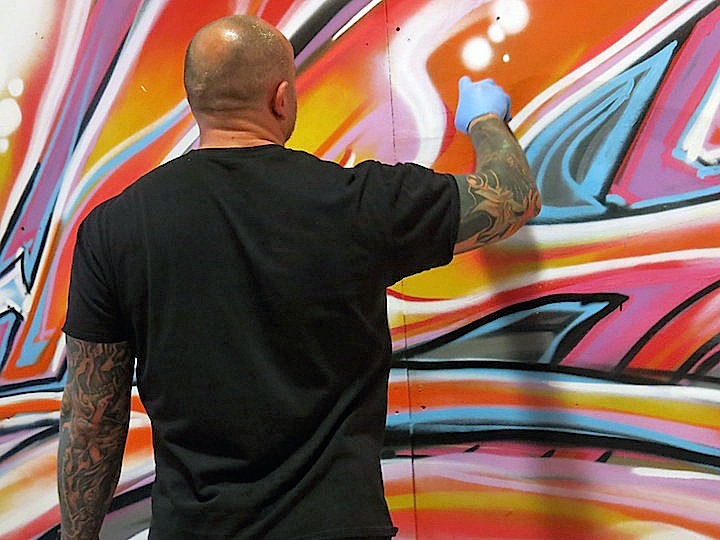 We tend to paint on walls we build in backyards and in bars and restaurants — temporary walls built for us at events and for various occasions. Many international artists have been invited to Dubai to paint, but I’d like to see more local artists engaged. It’s a new city that’s developed very fast, and these sort of grassroots movements take time to catch on. But I hope they do. We’re a growing community of artists really pushing for opportunities to give something of what we do to the city we live in. We want to see ourselves reflected in it. It’s a work in progress, but we’ll get there. 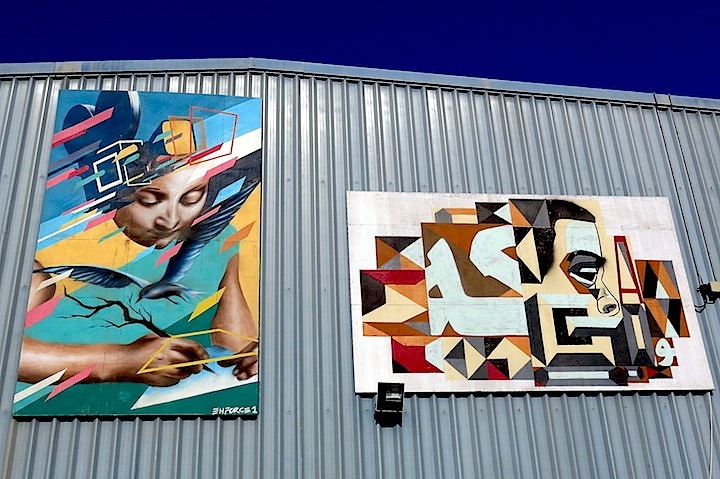 There’s a strong passion and buzz growing for street art, so I hope it all just blows up, and we see street art taking over the city in a healthy and relevant way. 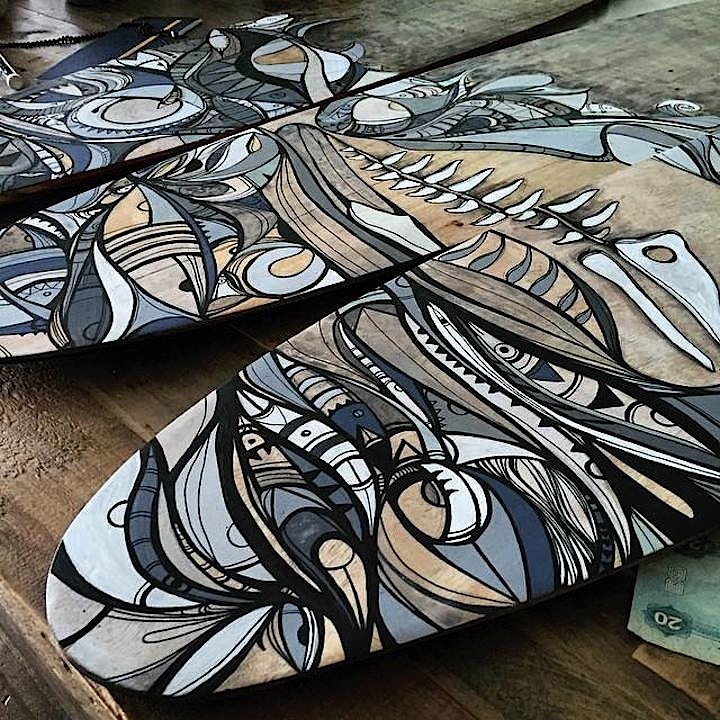 What are some of the challenges you personally face as an artist in Dubai? 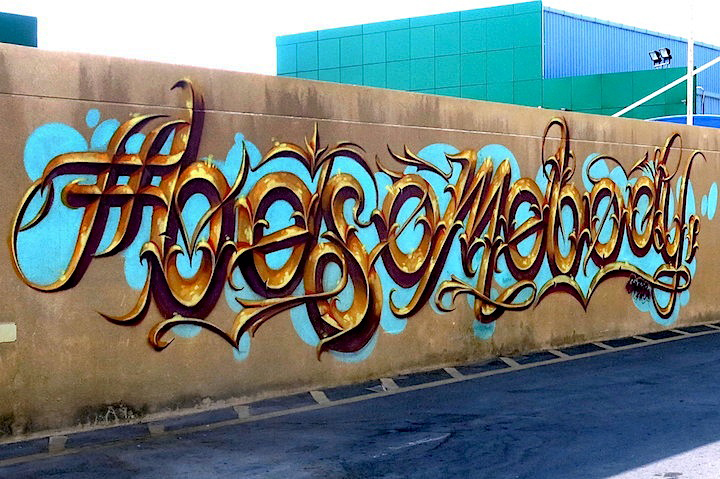 For one, there is no real precedent to street art. But even more of a challenge is living in a place that is incredibly commercially driven. 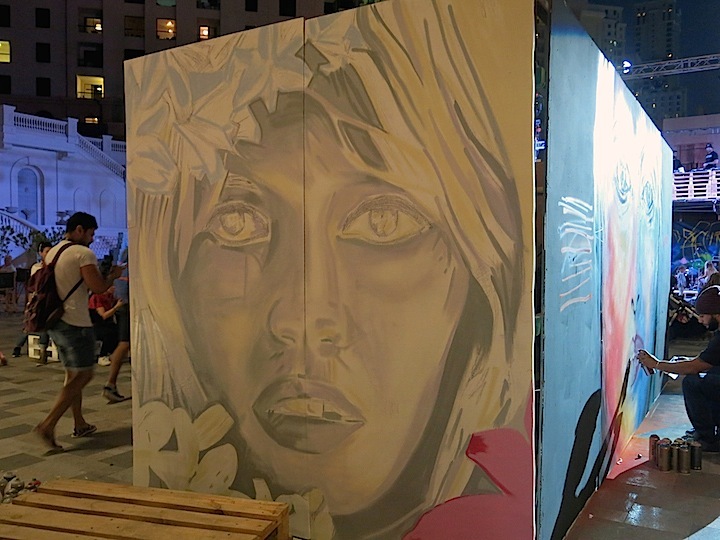 And it is difficult – almost impossible – to access public space to paint. Yes, being an artist in Dubai is financially sustainable, but it’s important to maintain a balance between your commercial work and your personal work. And that can be challenging in such a commercially driven city. And then, of course, it’s tricky convincing people that art is worth money — more than just money. And we need to really support a platform for a homegrown scene to flourish. Hopefully, with artists like you in Dubai, things will change! What’s ahead? 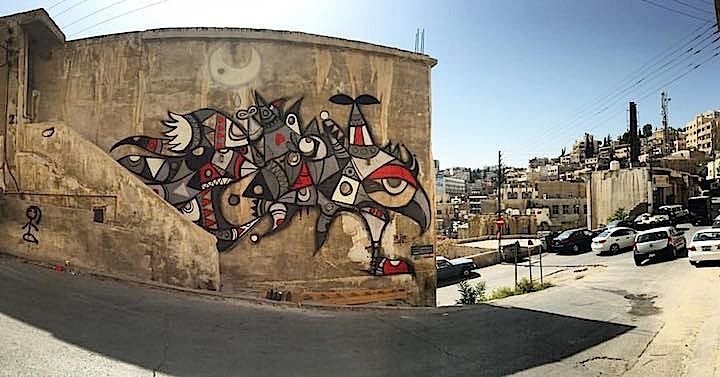 My recent trip to Jordan reminded of the things that I love about art, particularly street art, and how it builds and impacts communities. I haven’t done enough community-oriented work since I left Toronto. I’ve fallen into a pretty commercial habit myself, and so I’m working on a few proposals for concepts that are more involved with outreach. Let’s see how they go! And, of course, painting painting painting. I’ve painted more this year than I have in years, and it’s a beautiful thing. I would love to continue to be invited to paint in other cities and bring and represent something else of what the Middle East has to offer other than what you see in mainstream media. So let’s see how it all goes.